Today’s Swatch Saturday are the *little Bambinos nail polish minis from the new OPI Venice Collection. 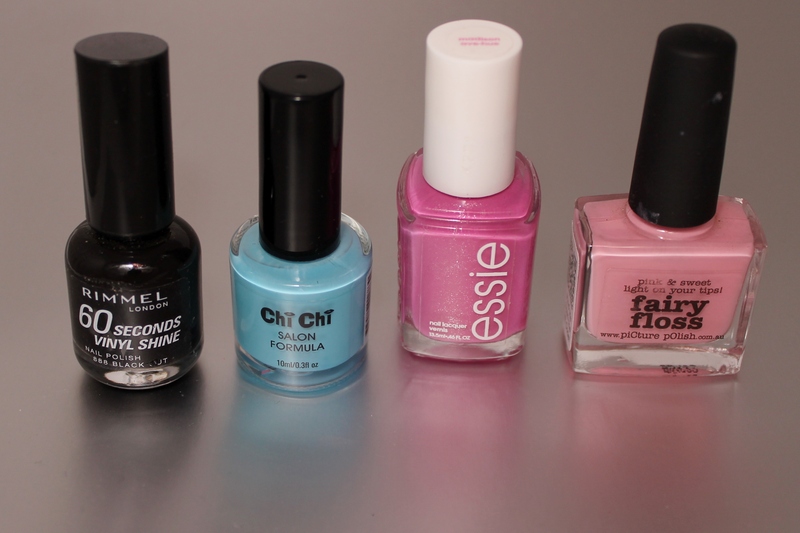 I’ve also created some simple nail art using some of the shades. The OPI Venice collection has been released for Fall/Winter 2015. While Australia has finished winter and is heading towards warmer weather, the Northern Hemisphere is getting ready for Fall. The *little Bambinos minis from the OPI Venice Collection are just a small sampling of the range of gorgeous shades included in the collection. A Great Opera-tunity– A nice melon shade, I did call it peach at first…but looking at it again, it does remind me of Cantaloupe/Rock-melon. A bit sheer, above I have applied two coats. Worth a Pretty Penne– Not much to say really, a very shimmery copper shade. 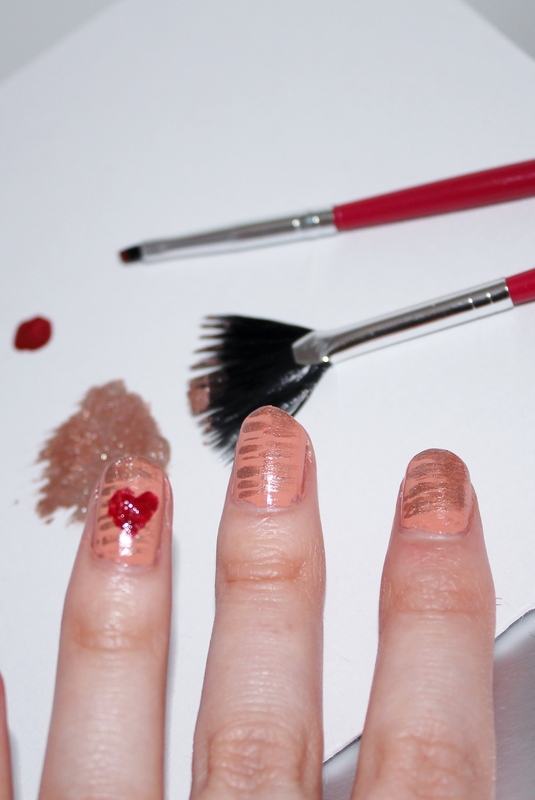 Fairly opaque, but (as above) two coats will up the intensity of the shimmer! Amore at the Grand Canal– A nice crimson red, again not much to say really. A little sheer, so definitely needs a 2nd coat. My Gondola or Yours?– Black with a hint of shimmer (didn’t show up in the photo). I was surprised that I also need two coats for this shade, as normally black polishes are fairly opaque. 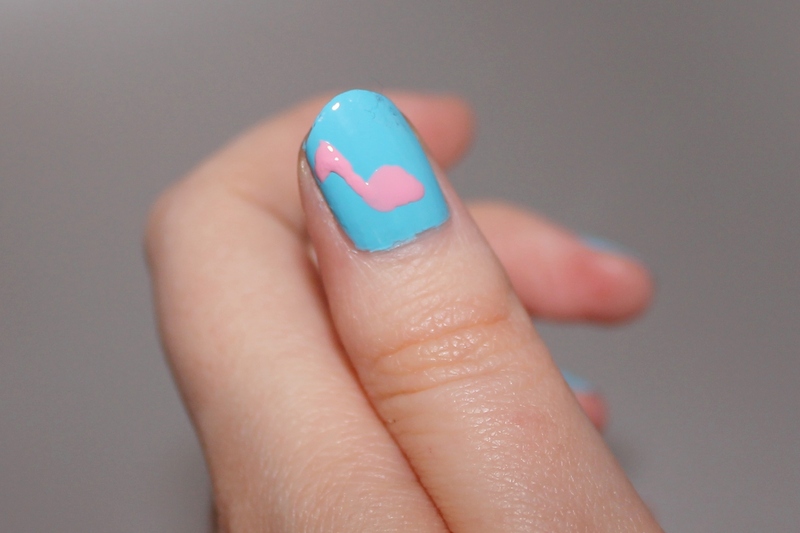 For my simple nail art design, I used A Great Opera-tunity as the base. Then I used a fan brush to ‘brush’ on rough stripes of Worth a Pretty Penne and I finished it of with a heart on my ring finger nail with Amore at the Grand Canal. The OPI Venice collection is available at Myer, David Jones and selected pharmacies. Lately I have noticed a new trend of Flamingos on everything! Fabric, stationery and homewears. 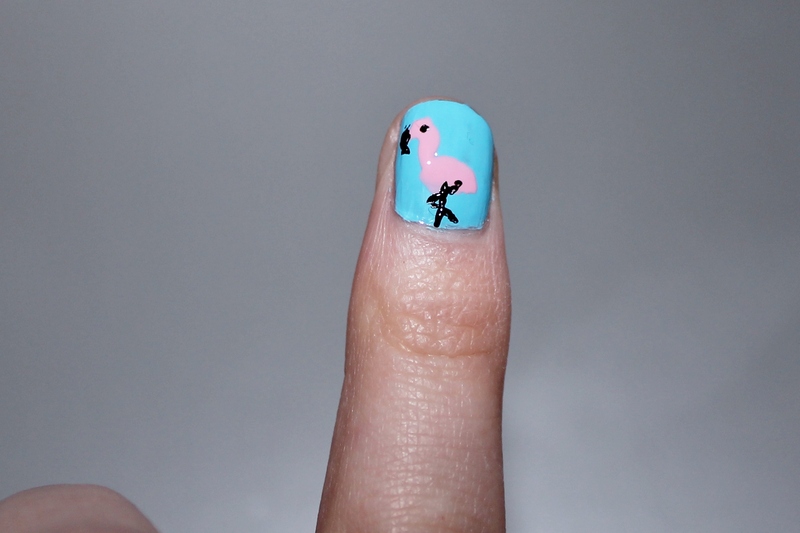 It has inspired me to create a super simple Flamingo nail art design. 1. 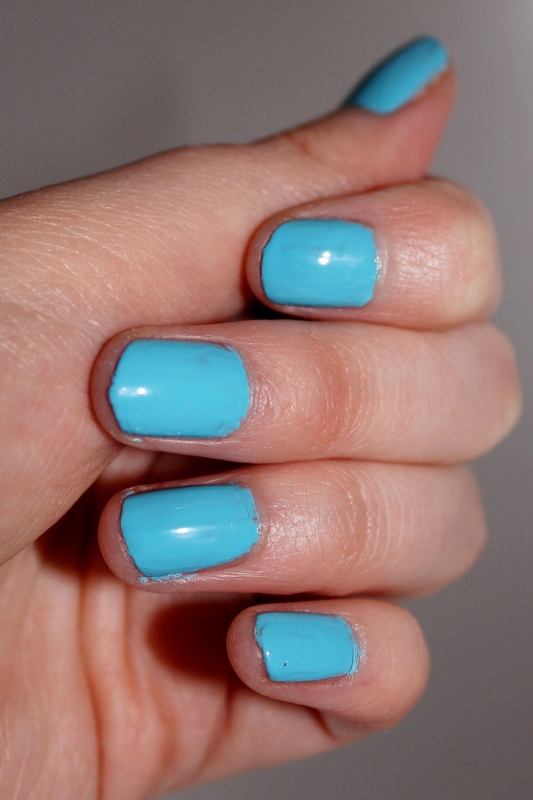 Paint your nails with a blue polish as a base. 2. 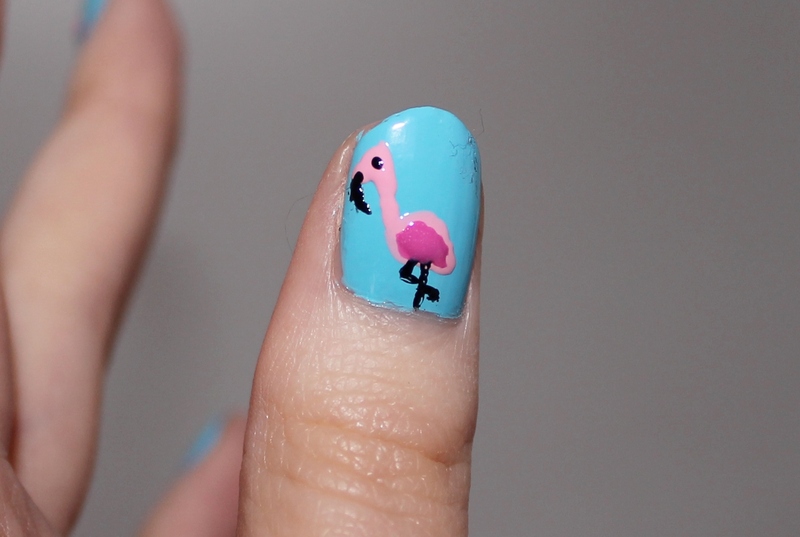 Use the light pink shade (fairy floss) to paint your Flamingo’s body, neck and head. I used a toothpick to paint the neck and head, so they were not to thick/big. 3. Using another toothpick, paint on the black details including the eye, beak and legs. 4. Finish the design off by painting on the wings with the darker pink polish.